The Coterie, situated at 365 St Pauls Terrace, Fortitude Valley, is being offered for sale by CBRE’s Mike Walsh and Darren Collins and JLL’s Christian Sandstrom and Sam Byrne. 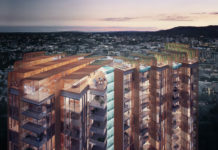 The property comes complete with a high quality, two (2) tower residential scheme consisting of 286 units, 508 sqm of prime ground floor retail, and a rooftop recreation deck. Two basement levels and a five (5) storey podium provide accommodation for 283 vehicles; the podium parking offering significant time and cost savings in terms of site excavation. 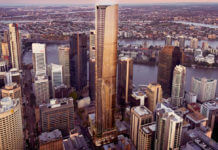 Critically, the scheme reflects the same building envelope, height, and car park layout as the one endorsed by Brisbane City Council – suggesting minimal planning risk and a seamless approval process. 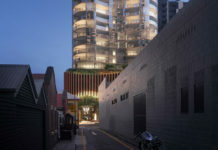 From an urban design standpoint, the centrepiece of this development is the integration and repurposing of the heritage listed, McDonald Pastry Cooks building.  Once tenanted, the building will undoubtedly add further texture to the eclectic Fortitude Valley retail experience and serve as a key driver of demand for the units above. The Coterie will perfectly align with the location requirements of increasingly discerning inner-city apartment buyers. 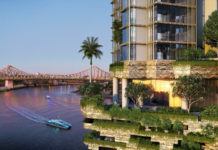 One hundred metres from Fortitude Valley Train Station, eight hundred metres from the CBD limits, and situated at the very centre of Brisbane’s premier lifestyle precinct: The Coterie will undoubtedly appeal to end users looking to balance the realities of everyday life with the lifestyle imperatives of the inner-city professional. The Coterie is available for purchase via Expressions of Interest closing 4 p.m. Thursday, 26 May, 2016. For all sales enquiries, please complete the below form.